Mars is getting another visitor very soon and its name is InSight. It’ll be landing on Mars on November 26th, 2018. Maybe you’ve heard a little about this mission or maybe you’re new to it. Let’s take a look at what this mission is and everything you need to know for the landing. What is InSight’s Main Mission? This new lander’s mission stands for Interior Exploration using Seismic Investigations (InSight). 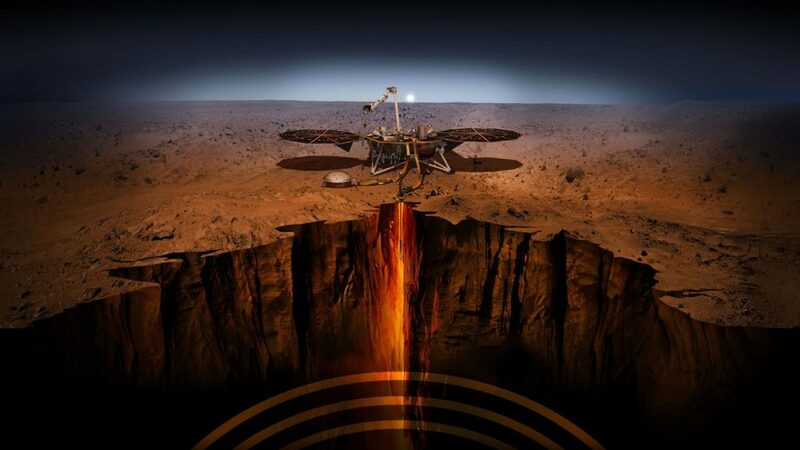 It will help us answer what is under that hood of Mars or more specifically what’s going on in the core of Mars. It’ll give more insight (no pun intended) on what early formation of Mars looked like 4.5 billion years ago. The lander will not only investigate Mars but also have the first CubeSats trailing right behind. These little cute cubes will answer the question is it possible for miniaturized satellites survive the trip in space to Mars and be able to communicate with the lander and relay it back to Earth? If so, it means it’ll change how we explore space forever. It’ll be more efficient, effective, and smarter. 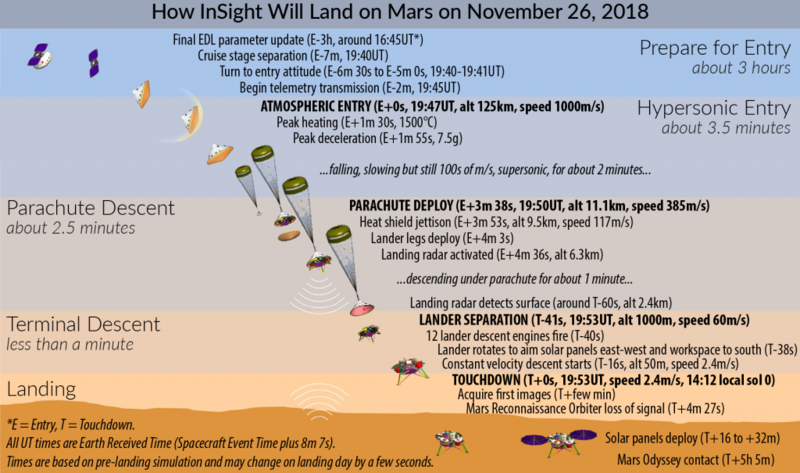 How will InSight Land on Mars?